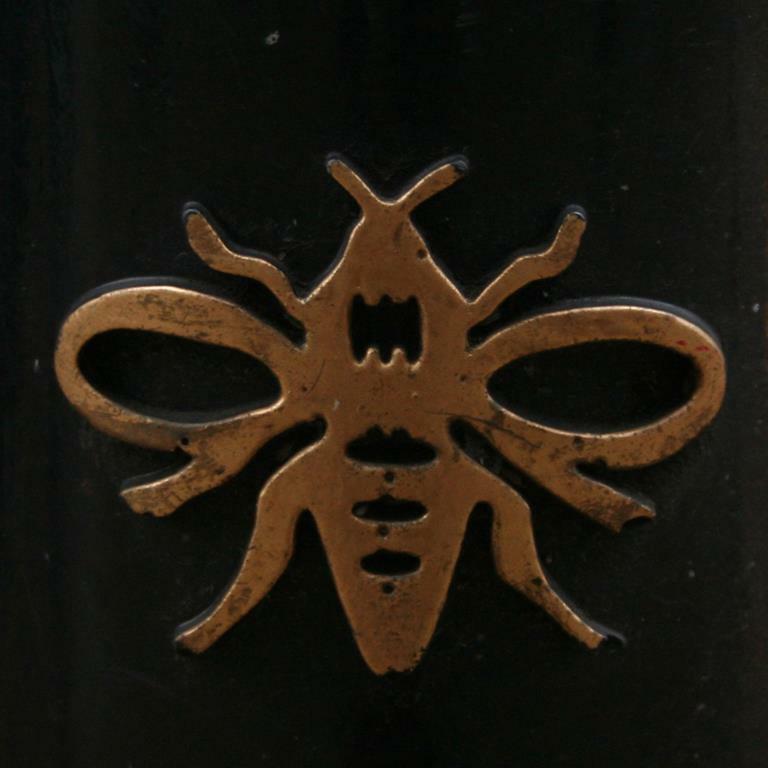 Both a ubiquitous sight around the city centre, the bee bollards and bee bins are highly visible signs of the bee’s importance as a symbol of Manchester. 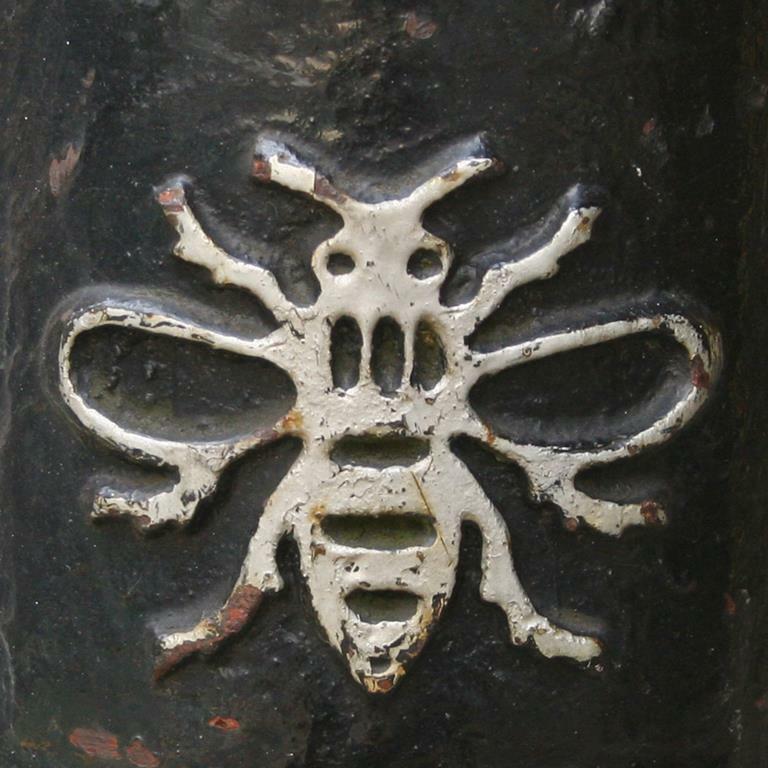 In contrast, the bee bollards have been around a great deal longer, introduced to Manchester’s streets back in 1976. They were originally designed by Warren Marshall, former Urban Design and Conservation Manager for Manchester City Council, and look to be again based on the Manchester Town Hall bee mural. However, whilst they all might look the same, a closer look reveals at least two different bee designs and a multitude of colour variations being used over the years. Here’s what I believe is the first design, judging by the state of the bollards, which appears coloured gold, silver and black. And here’s number two, which is featured on newer bollards. Note the simplified design, particularly the lack of eyes. So far, I’ve only found it coloured gold. But how many are there? And how far are they spread across Manchester? Can they be found further-afield? A quick google search reveals a wealth of retailers online, so that strikes me as a possibility. 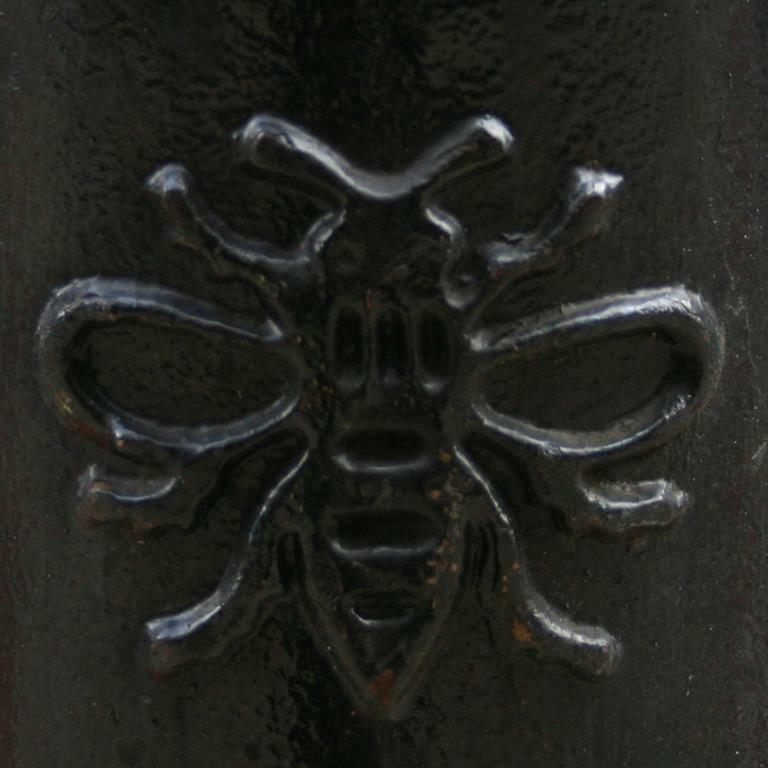 A little while ago, I started photographing the bee bollards – you can see my progress so far by having a look at the Map page – but clearly I’ve only scratched the surface. If you’d like to help, get in touch via the contact page. 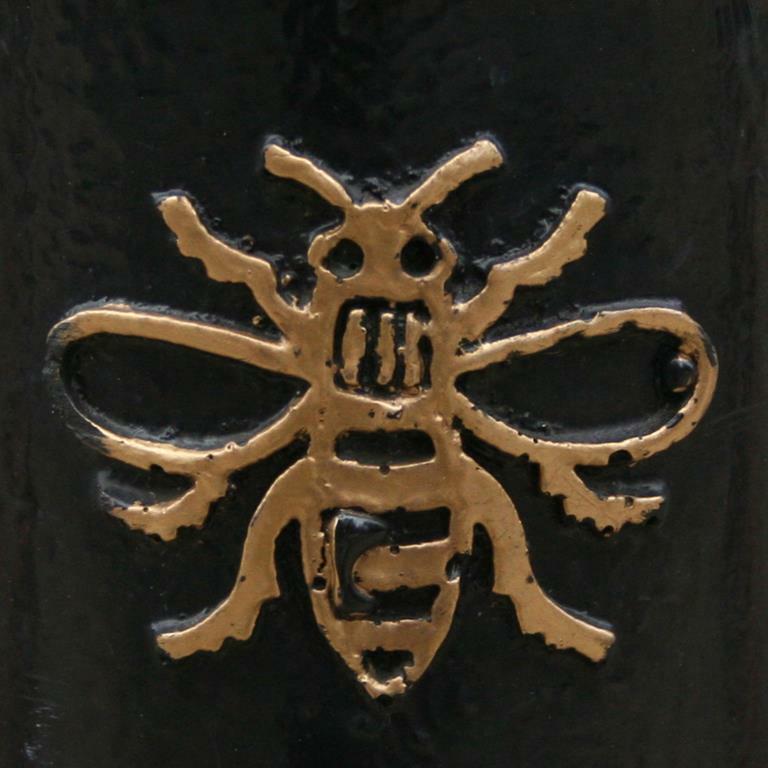 The bee design also used to appear on flower planters across the city centre, but the only ones I’ve found recently are located just outside Manchester Cathedral on the now pedestrianised Victoria Street. They can also be found along Sackville Street. 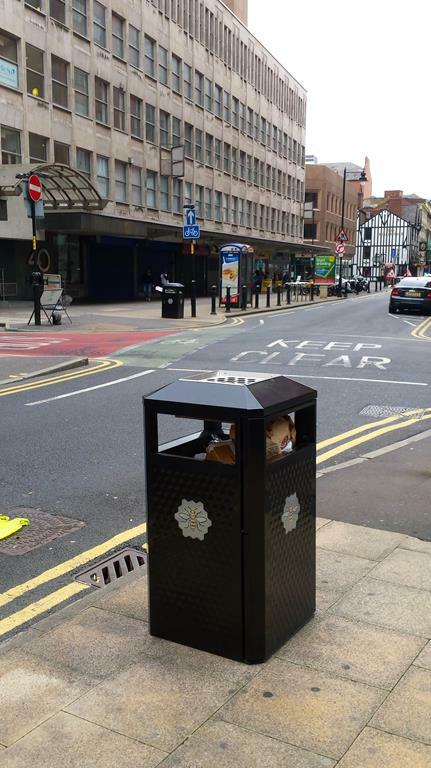 A new style of flower planter has recently been introduced to the city, appearing along New Cathedral Way and on Albert Square outside Manchester Town Hall. Created by Hargreaves Foundry, the cast iron design can be found in three different sizes.